CCMC Welcomes 2013 By Dropping 495 Pounds! CCMC team members (l to r) Christy Stokes, Linda Smith, Marsha Hove, Michele Freed and Nicole Gibason compete in the Neon Splash Dash 5K. To celebrate another new year, CCMC has dropped 495 pounds! That’s right, 4-9-5. So, how did we do it? Well, just eight short weeks ago, we launched our Get Active! Challenge to kick-off our corporate wellness program. Small teams of employees competed against each other to increase their physical activity and drop unwanted pounds. “The results were truly remarkable,” says CCMC director of human resources Tricia Hill, “In two months participants logged 4,297 hours of exercise and a cumulative weight loss of nearly 500 pounds.” Weekly activities were organized across the country, including everything from group hikes to racquetball games. 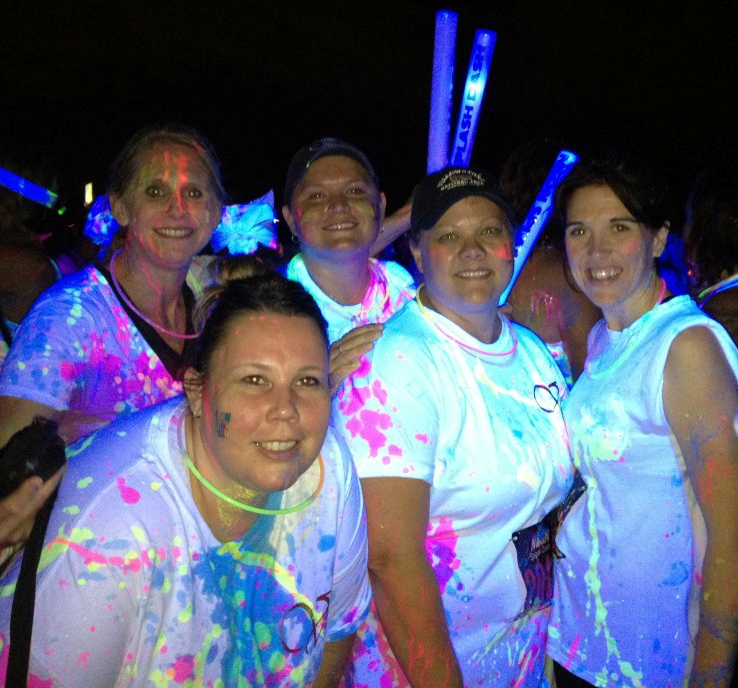 Some team members participated in local walks, runs and triathlons. Congratulations to all the CCMC team members who took the challenge and learned just how much fun fitness can be! We will be continuing our wellness program in 2013 with biometric testing, lifestyle coaching and more wellness challenges. Here’s to a healthy and happy new year!